We woke, said our farewells, and went off to Vermont. 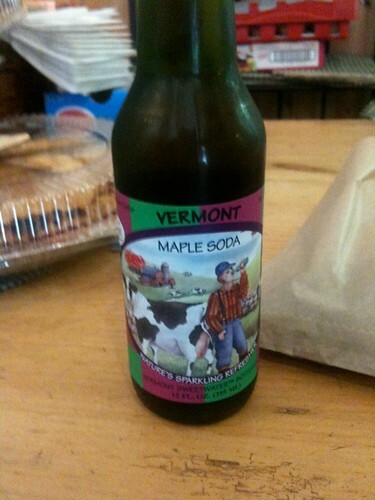 Monday was Vermont day, a day of great scenery, great food, and unusual beverages. Our first destination was Dot's, in Wilmington, Vermont. Nominally breakfast, but we got off late again. 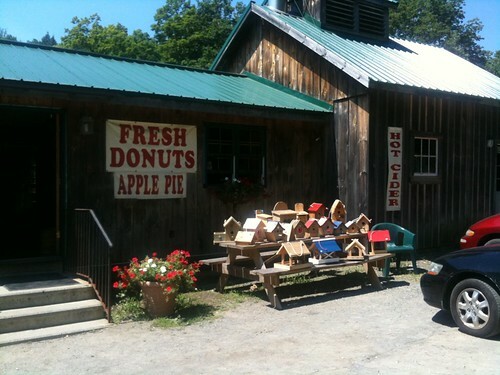 We stopped en route at Paradise Sugar Shack, because I saw a sign saying "Cider Donuts". We bought a maple soda, some maple cream candies, and a cider donut. The maple soda was a fascinating flavor. My usual experience of maple syrup is that the flavor is about eight parts sweet to one part maple. (Yes, I should experiment with darker maple syrups). By contrast, this was about three parts maple to one part sweet. Very strongly maple, not very sweet. I liked it a lot. The maple cream cookies were about two parts sweet to one part maple, which is still far more maple flavor than my usual maple syrup experience. 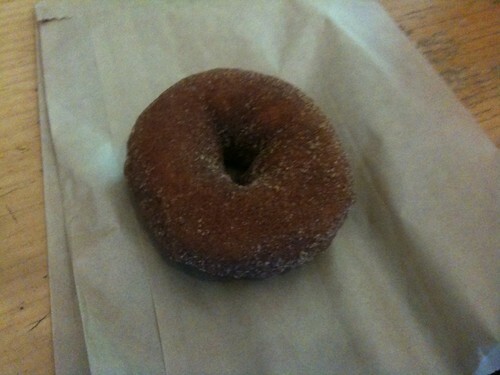 The cider donut was to me just a donut. I didn't taste much cider in it.